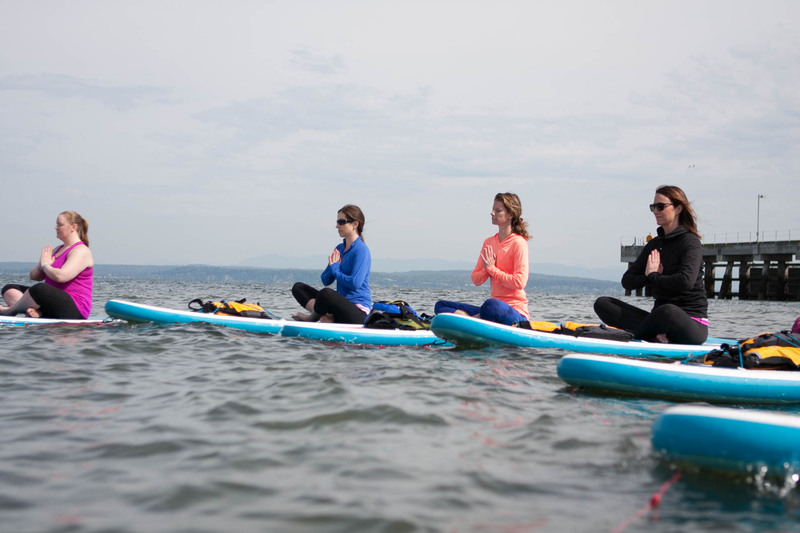 Whether you’re a beginner or an experienced yogi, the moment you set foot on the board you will realize that practicing on water is a distinctly different experience. Taking your sun salutation out of the studio and onto the board helps you develop a whole new appreciation for the balance and focus required for every pose. Mindfulness just comes naturally here, as your mind and body click into place to welcome this fresh new adventure. 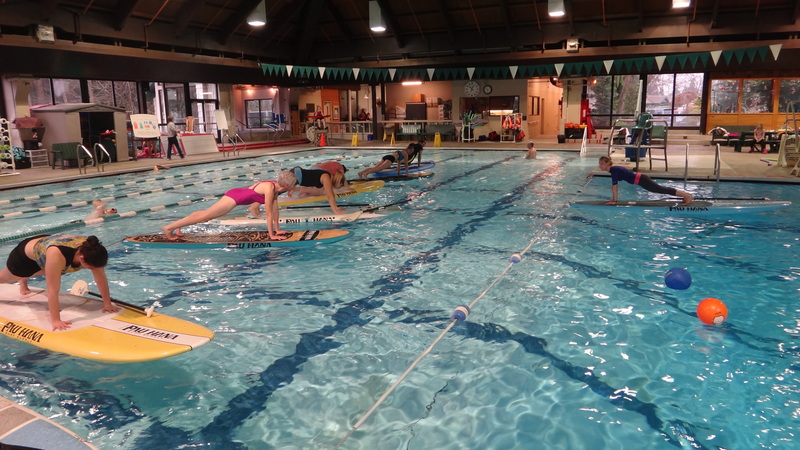 Indoor classes are offered at Forest Park Swim Center in Everett and Snohomish Aquatic Center, September through June. 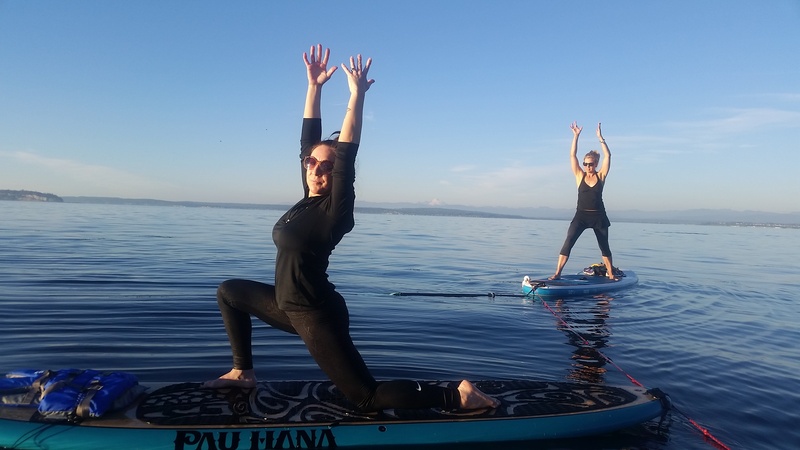 Outdoor classes are offered at Silver Lake in Everett, Lake Stevens, and Edgewater Beach in Mukilteo, June through September. More details below! Boards and gear provided by Hydrology Stand Up Paddle. 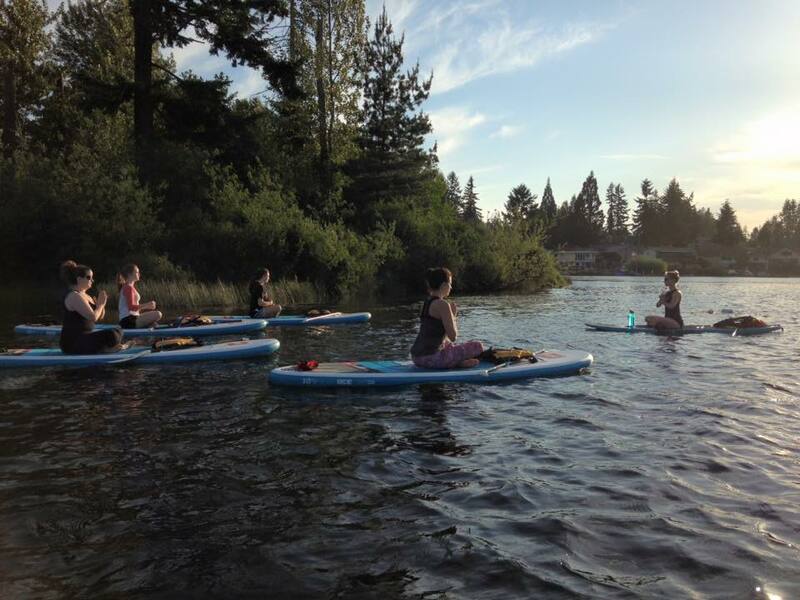 Outdoor classes have a Bring Your Own Board discount of $15 off! 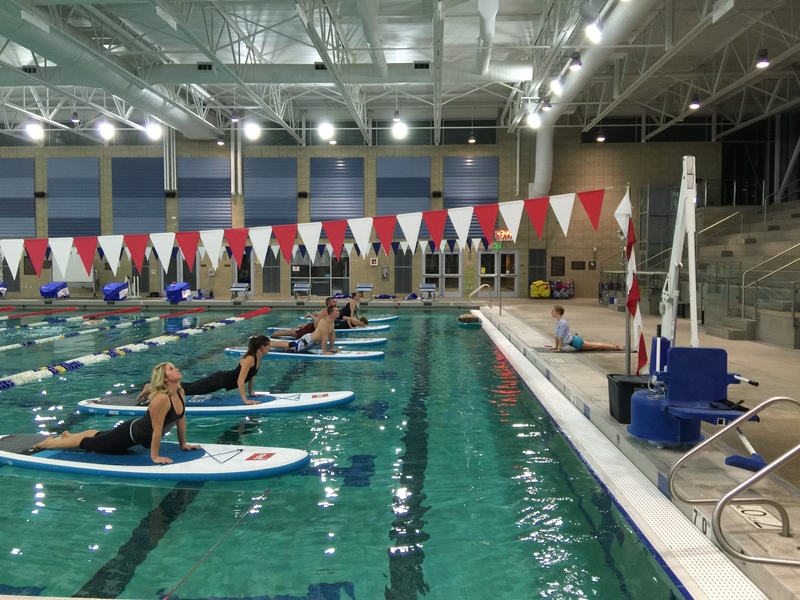 Check the Events tab to see our combo Stand Up Paddle & Paddleboard Yoga Workshops, other fun workshops, and events. Only $25, which includes board rental (a $20 value). Register by calling 425-257-8300 Ext. 2 or by clicking here. 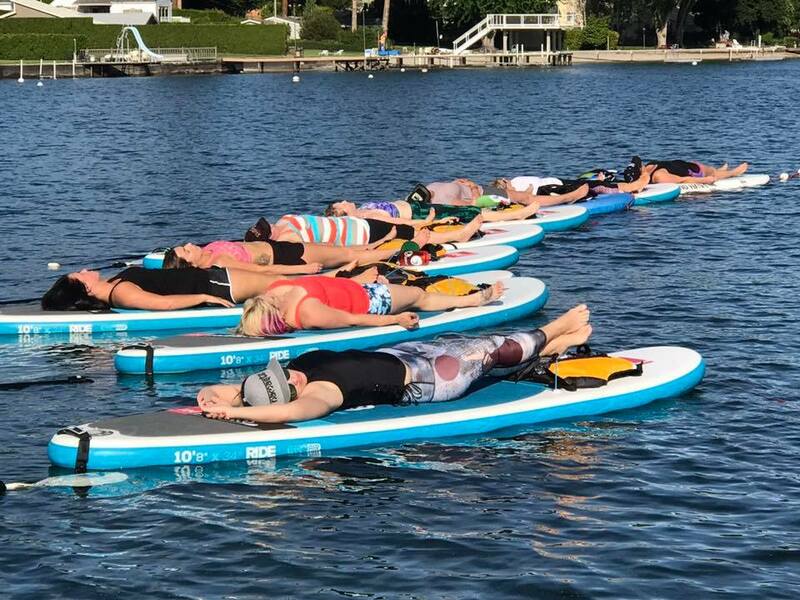 Select "Fitness", then "Yoga", then "Paddle Board Yoga". Advance registration required. Register by calling (360) 568-8030 or clicking here. Advance registration required. Bringing your own board? Register here for just $15! Thornton A. Sullivan Park. Meet at the brick building on the sand. 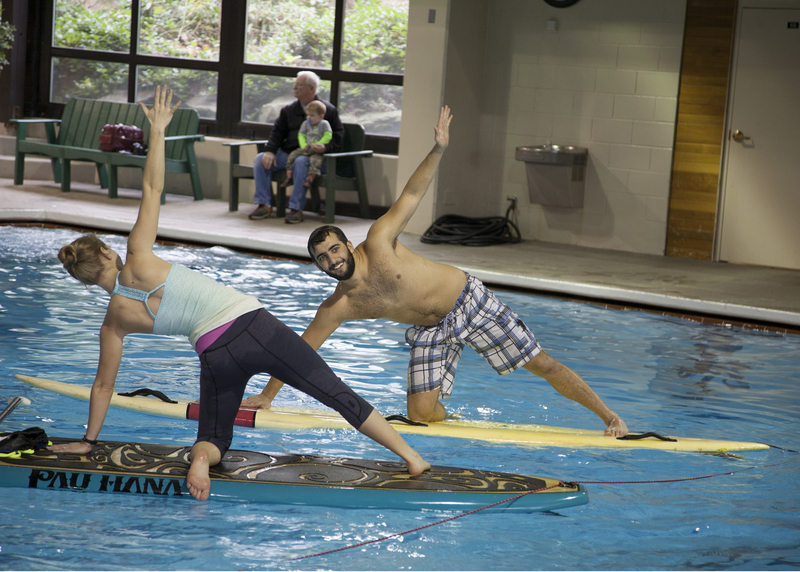 Check out our Combo Paddling and Yoga Workshops, Paddling Picnics, Mom's Day Out, and Date Night events! $30 plus tax, including complete SUP rental package. Register by clicking here. Lundeen Park. Meet at the building near the beach. Special events and appointment only. Please note this is at Edgewater Beach, not the more well-known Lighthouse Park, nor is it Edgewater Park. Use Google Maps to find this location. Some map apps do not recognize this beach. Directions are listed in the FAQs section, as well. 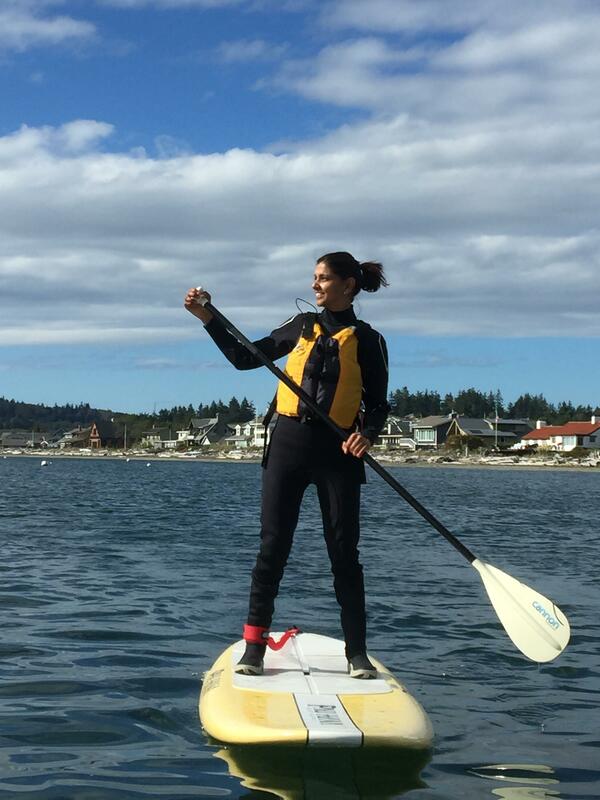 $30 + tax including complete SUP rental package. Bringing your own board? Register here for just $15. Treat yourself to a little adventure! 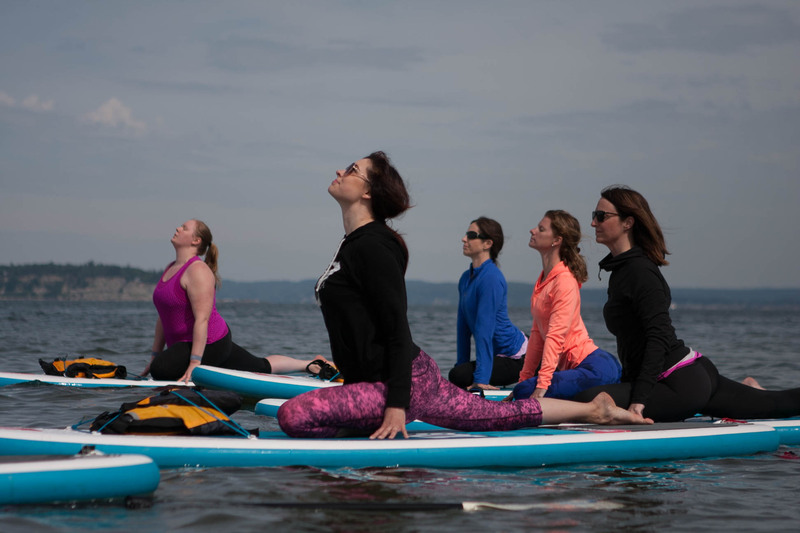 Meet us at beautiful Edgewater Beach in Mukilteo to launch. 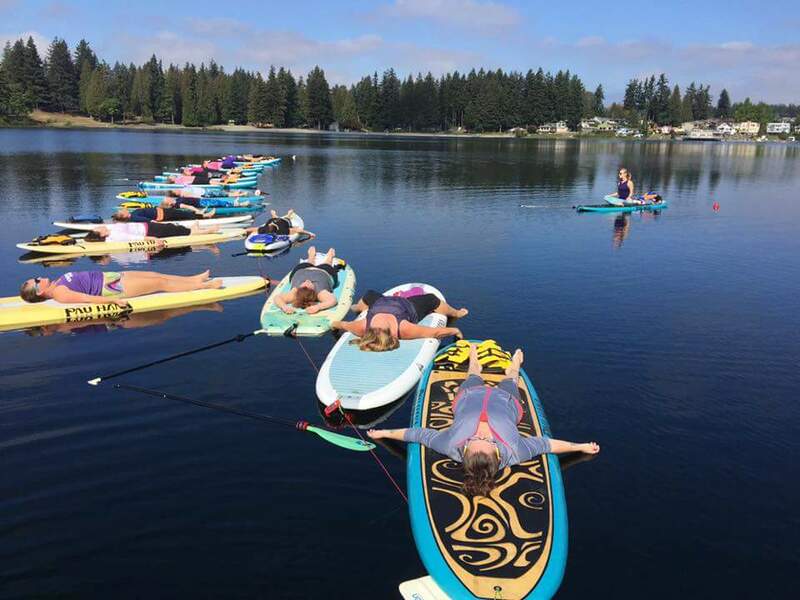 Enjoy a Stand Up Paddling Tour led by Erin Matthews of Hydrology Stand Up Paddle, board rental, SUP yoga taught by Carly Hayden of Catalyst Yoga NW, and a box lunch for $60 total. Conditions permitting, we'll eat our picnic on the board! 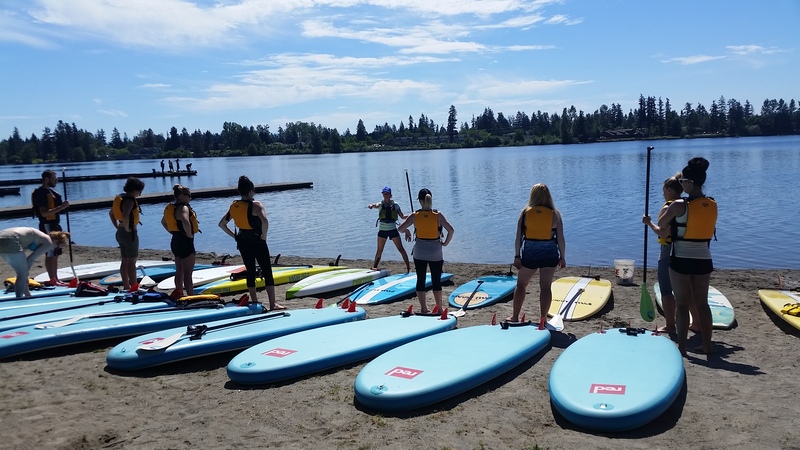 Multi-class packages can be used in Lake Stevens, Silver Lake, and Mukilteo interchangeably, but can not be used for special events. $90 for one person, $100 for two people, $110 for three people. Price includes board. Bringing your own board? Subtract $10 per board. Email hello@catalystyoganw.com to book. 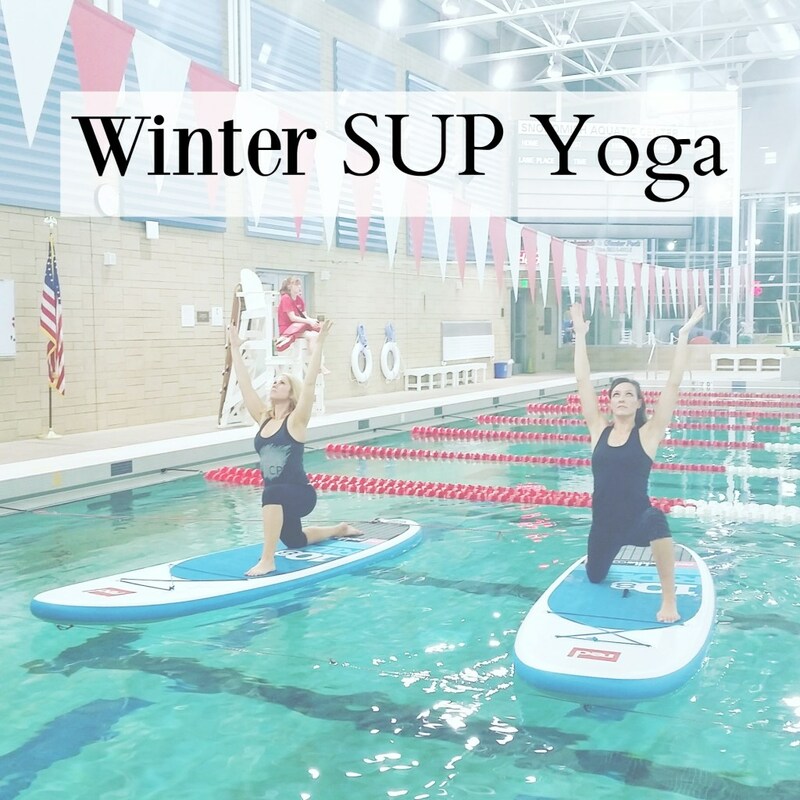 Gather together 4-16+ friends for a private group SUP yoga class tailored just for you! Registration is the same price as a public class*, is simple, and is done individually, so there's no need for you to collect your friends' payments. Contact me at hello@catalystyoganw to set your date! Policies: Minimum of 4 students must be prepaid at least 72 hours in advance to secure your date. Travel surcharge may apply to areas outside our usual waters. 48 hour cancellation policy. 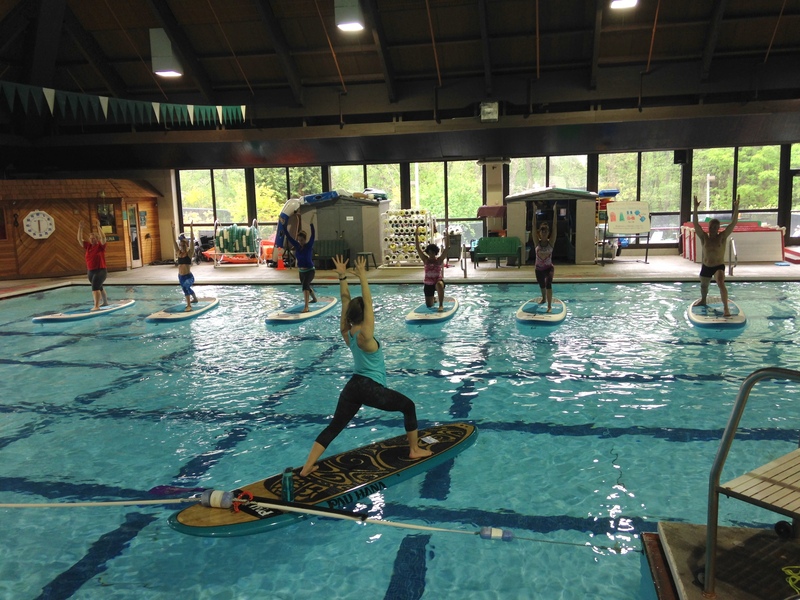 Combo stand up paddle lesson and paddleboard yoga options are available! *Same price as a public class when we use our usual waters. We are willing to travel to other locations, email me for details.